Biltmore Park is located within the city limits of Asheville, NC, just nine miles south of downtown and five miles north of the airport. We are bordered by the French Broad River to the west, the Blue Ridge Parkway to the north, Overlook Rd to the east, and Lake Julian to the south. The community features easy access to both I-26 and the Hendersonville Rd corridor. 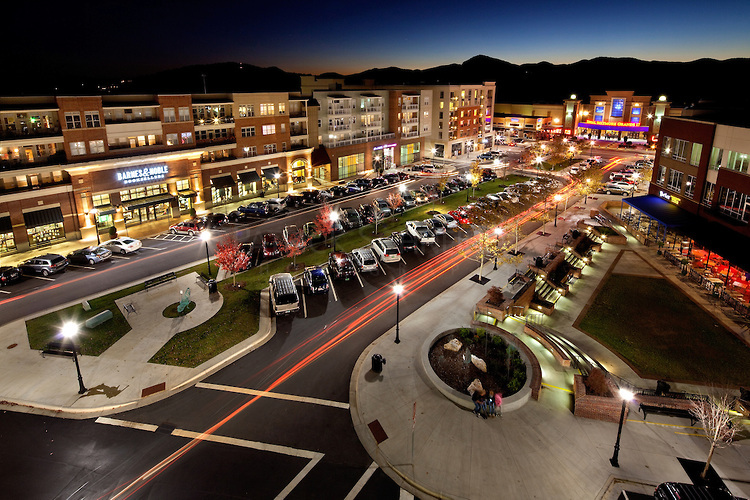 We are adjacent to Biltmore Park Town Square, Asheville's first dense mixed-use community. The Town Square includes 42 acres of apartments, condominiums, townhomes, office space, retail shops, restaurants, and recreational and entertainment venues.